Every year, more than 3.5 million children under age fifteen require medical treatment for sports injuries, nearly half of which are the result of simple overuse. 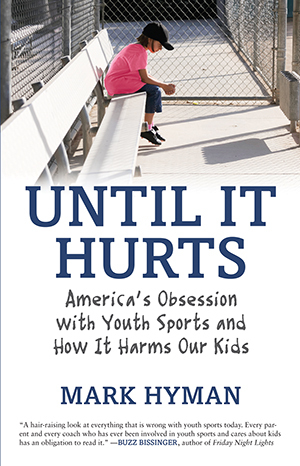 Journalist Mark Hyman investigates the evolution of youth sports from mere games to full-on quests to turn children into tomorrow’s superstar athletes by pushing them beyond physical and emotional limits. Opening up a crucial discussion about the perils of youth sports culture today, Hyman offers the solutions answers we need.